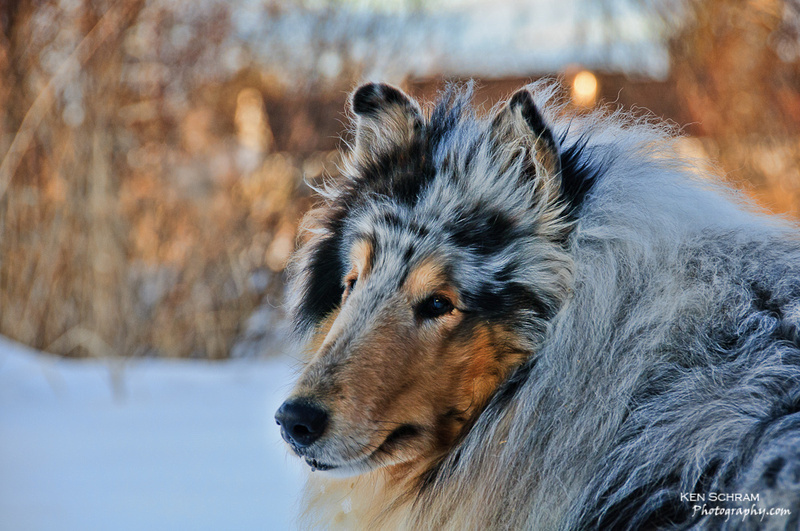 While reviewing last year's additions to my Lightroom catalog, I stumbled across this image of another member of our family who hasn't seen much "air time" on the blog - our rough collie, Ozzy. For years, my wife was involved in the dog breeding business specializing in rough collies. The primary attribute breeders focused on while "advancing the breed" was what is referred to as "the expression". Long nose, curled ears and those small, soulful eyes are the traits of these beautiful animals. Isn't he a handsome devil? If you're interested in how this image was processed, stop back tomorrow for a quick overview.